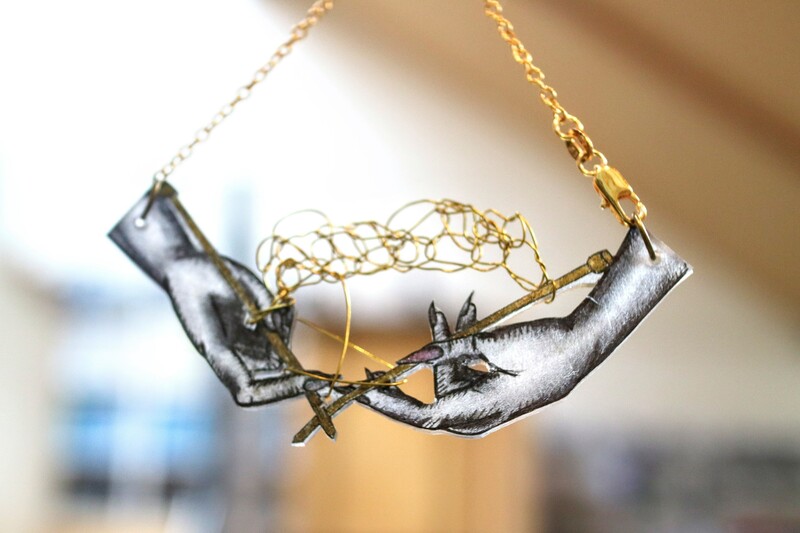 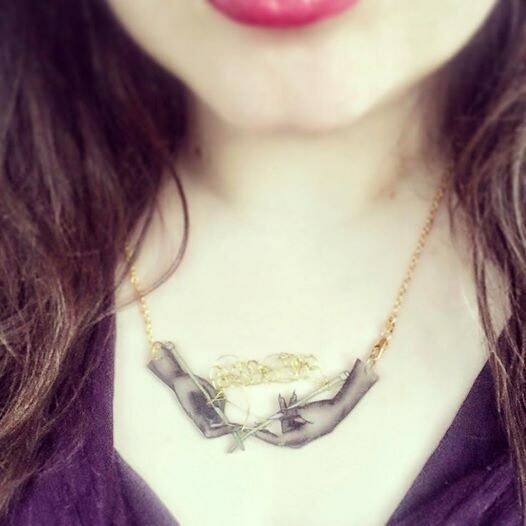 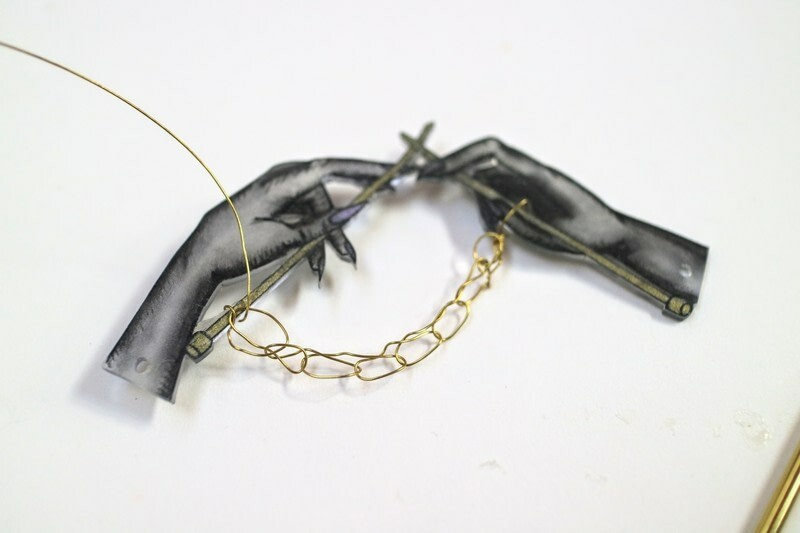 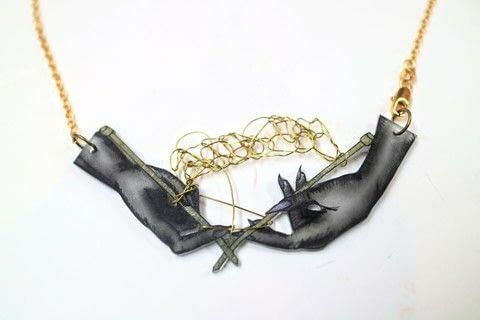 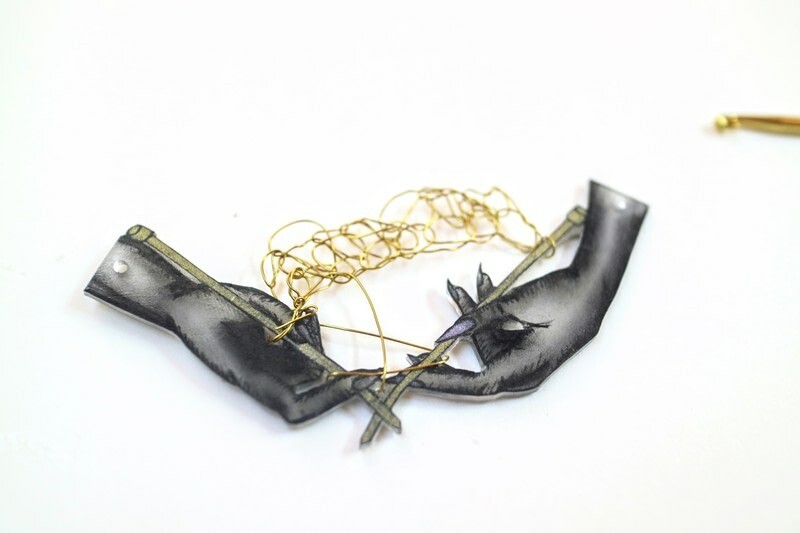 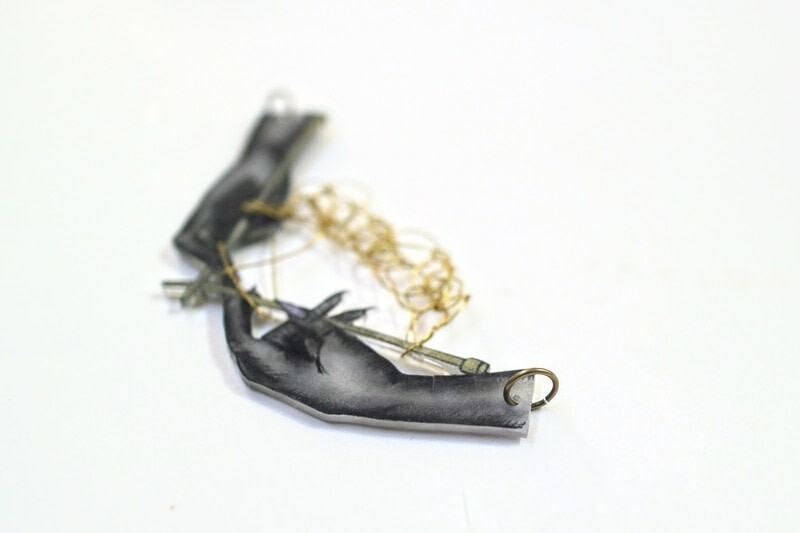 Wear your hobby around your neck with a knitting hands necklace! 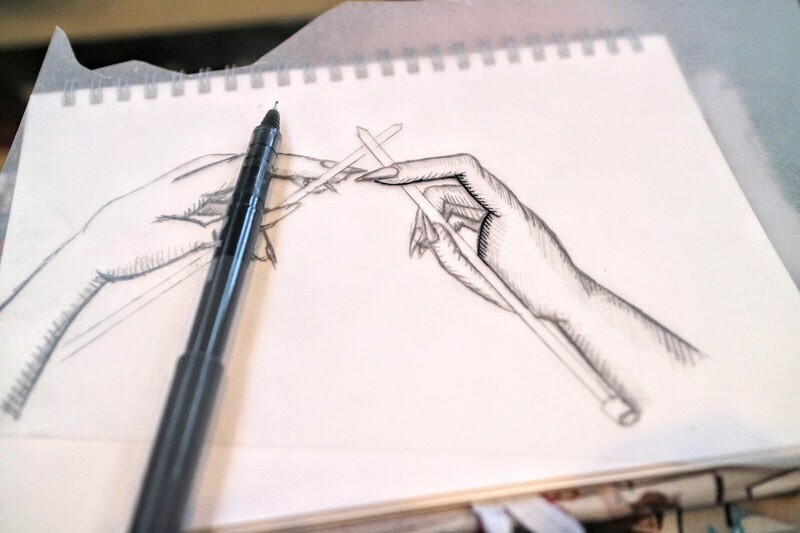 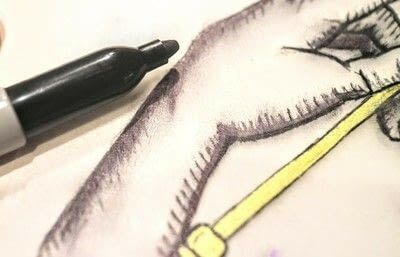 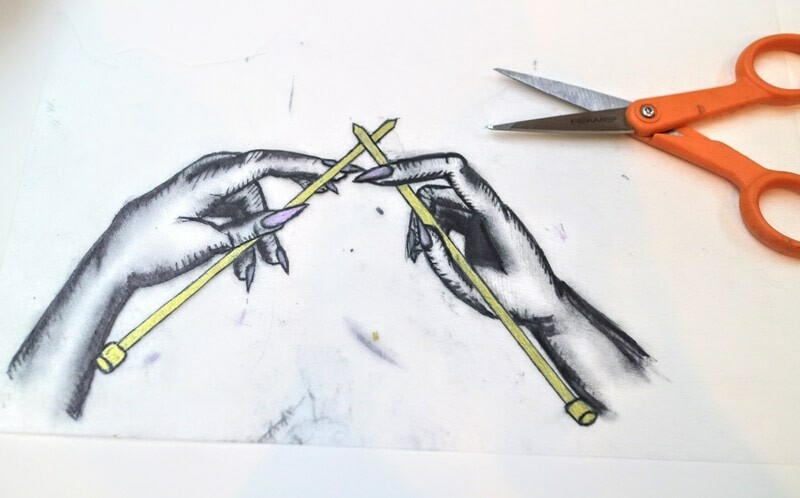 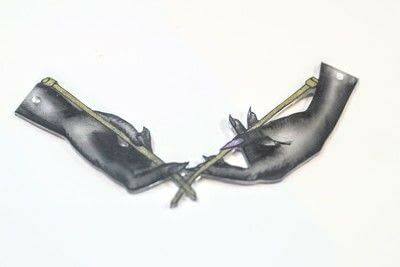 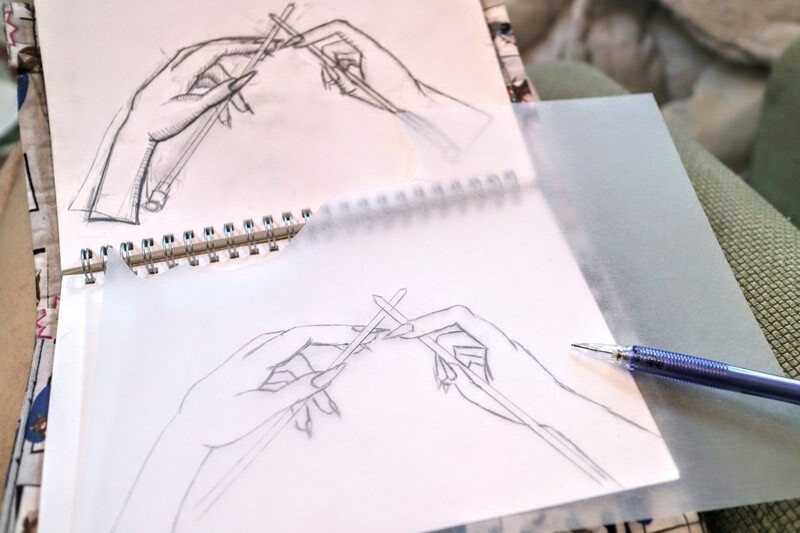 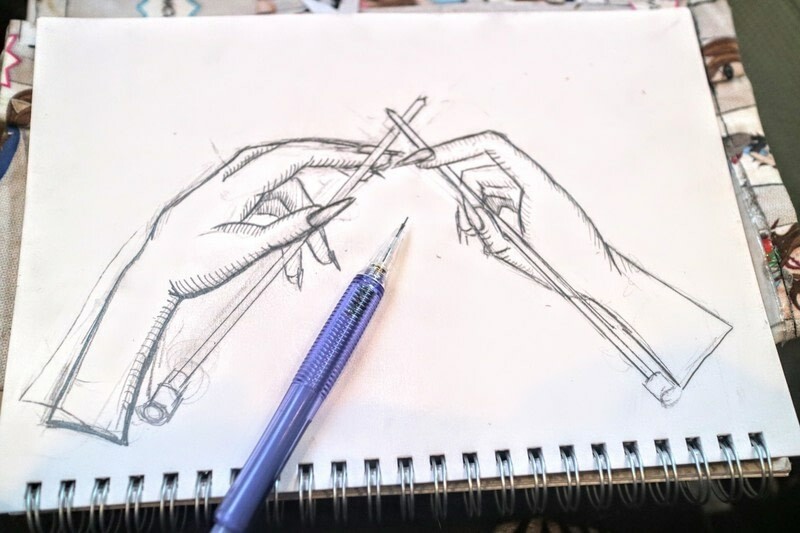 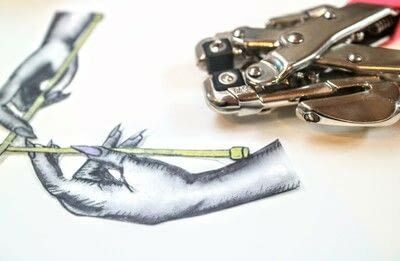 Sketch your own drawing of hands knitting or use my one for your template. Trace the hands onto clear shrink plastic. 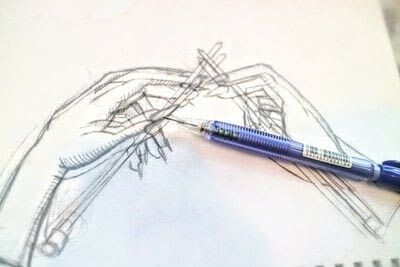 Start by sketching the outline in pencil. 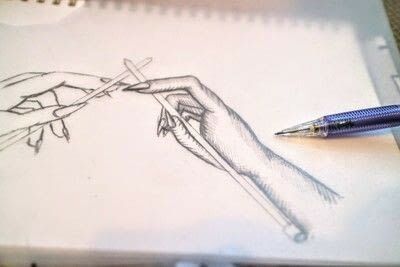 Use a darker pencil to add shading. 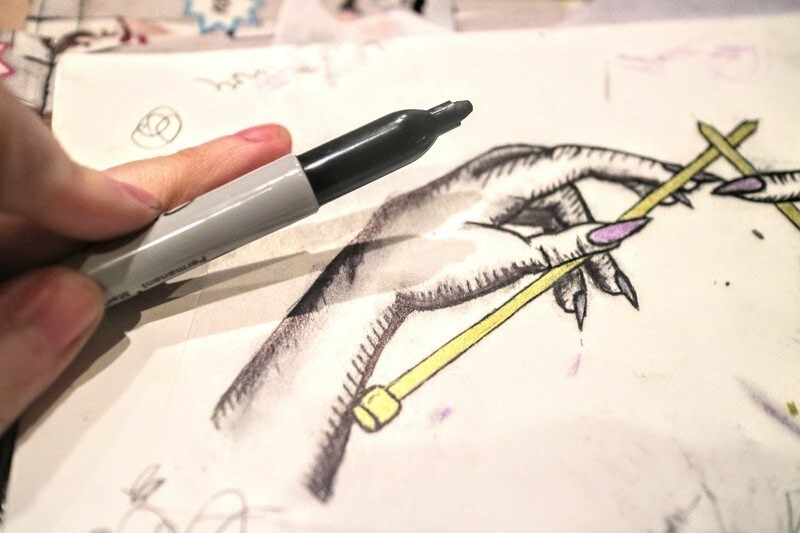 Use a fine liner to trace over the outlines and shading hatches. Take a black sharpie and use to add the darkest shadows. To add some extra shading, add the shadows in black sharpie and then use your finger to smudge the ink inwards, blending away as you go. 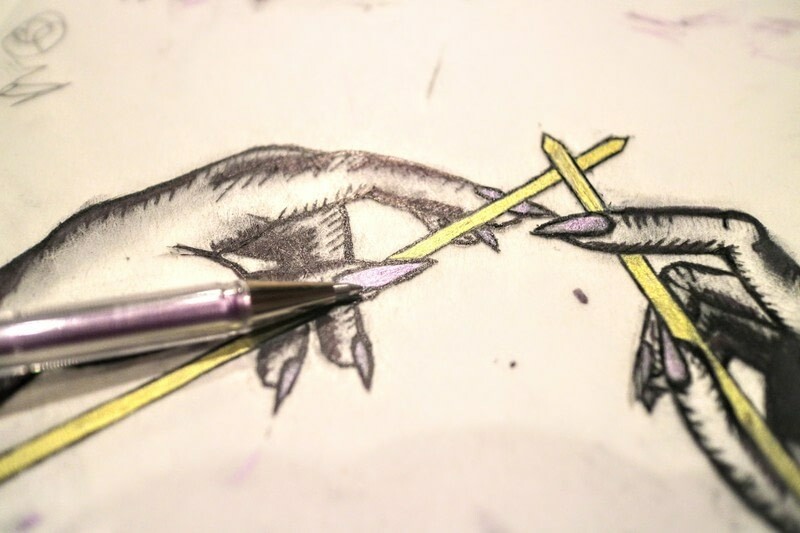 Use a metallic pen to colour in the knitting needles and nails. I used pink for the nails and gold for the needles. Leave your drawing to dry. 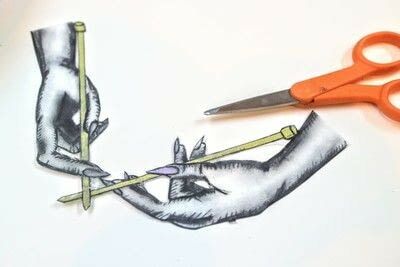 Carefully cut around the outline of your drawing, using a cutting knife to remove the gaps between the hands and the needles. Use a hole punch to punch a hole at the top of either arm. 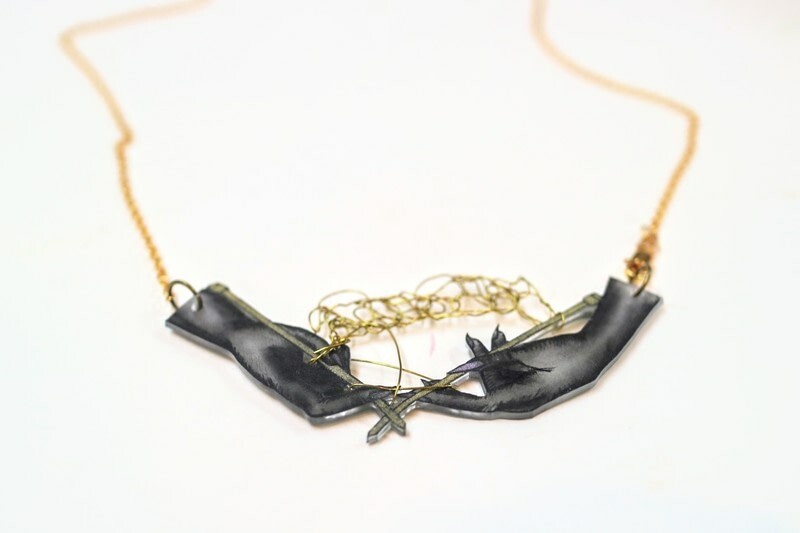 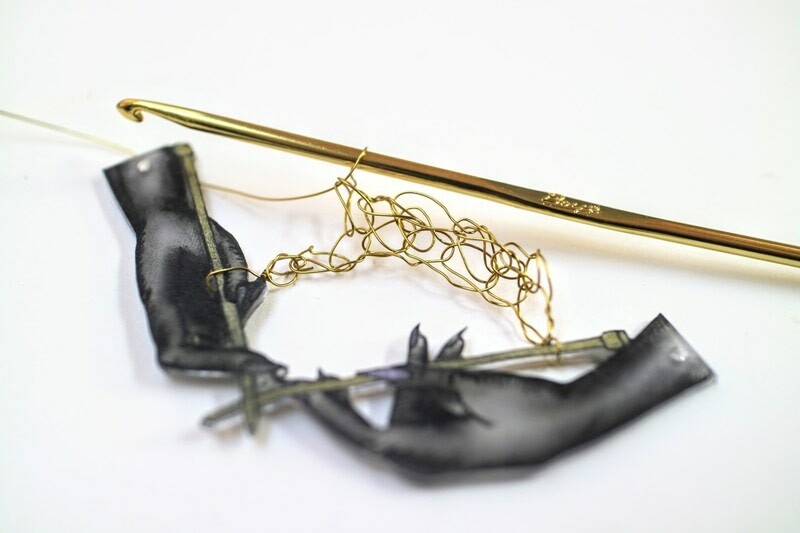 Shrink down the necklace in a hot oven until small and then press flat under a book. When cool, gather your crochet hook and wire. Tie one end of the wire around a knitting needle and then use the crochet hook to crochet a chain. 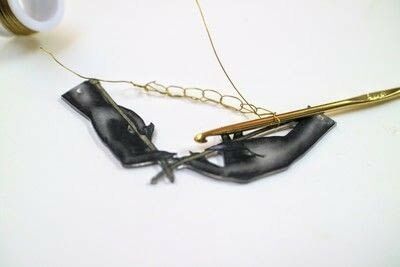 Make a chain long enough to reach the other hand and then tie around the second needle. Crochet another row or two. 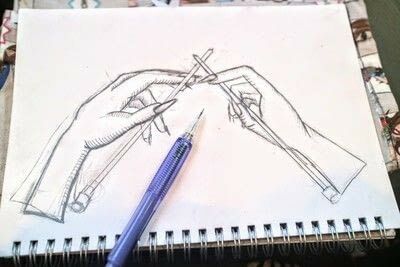 Tie off the wire, looping it over and under the needles and fingers a few times to look like knitting. 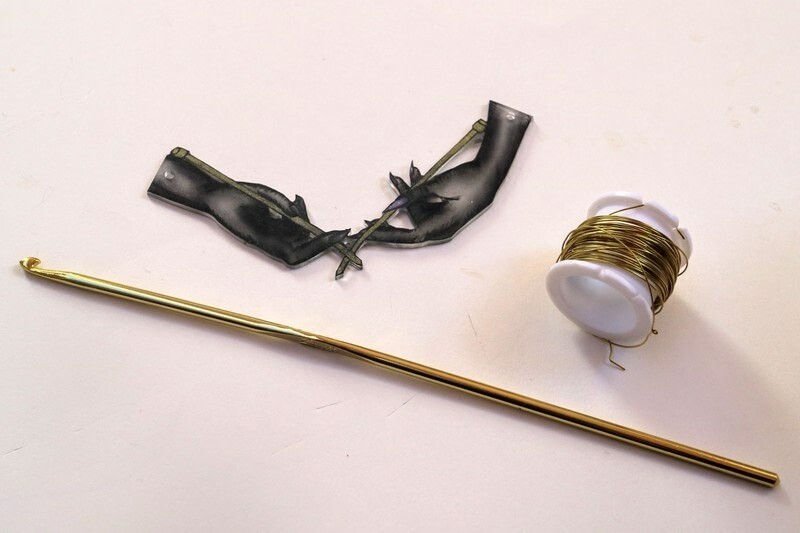 Attach a jump ring to either arm. Attach to a necklace chain and you're done!